Winter has made its rounds and is on its way home with Spring returning to take its place. It will be a welcome return as Spring greets us with the smell of wildflowers and beautiful rays of sunlight. There is nothing like lounging back in the comforts of your home while basking in the rays of the sun. But, what good is basking without comfort? Sometimes you want to just relax and the harsh sunlight is a bit too much. That’s why it’s important to garnish your house with some fresh shades. From shades that diffuse light to shades that black it out, Made4UShades has every variation of shade that you need to make your living room or bedroom a cozy relaxing environment. Perhaps you are a nature person and cherish the trees dancing outside your window, but your trying to keep your room at an adequate temperature. In that case check out our Solar Shades. A fully transparent shade that lets in a tinge of tungsten daylight, while letting you keep the view of outside. Maybe the views are not as important. You just love the natural light flooding in. Then maybe check out our Natural Woven shades for a more organic look to your window while allowing sufficient daylight in. 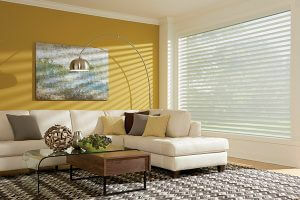 Or perhaps my personal favorite for beautiful springtime lighting, some nice sheer Fabric Shades. Allowing silky smooth light to illuminate the room while maintaining privacy. Perfect for those romantic mornings with a significant other and a warm cup of coffee. These are a few of many examples on how Made4UShades can bring your home to life while making your home a pleasant spring time experience. Check our inventory, and you will find that we can accommodate your needs specifically. With shades and blinds that promote privacy, romantics, Zen, warmth, cold, you name it, we can make it happen with our vast selection. You wouldn’t step outside without a fresh pair of shades, so do your house a favor and grab it some shades as well. Don’t miss out on making your springtime the best springtime!